We heard earlier today that Apple might be in the mood to make a purchase of Waze, the popular crowd-sourced navigation startup, but it seems that those rumors may have been trying to make something out of nothing. Interestingly enough, the original rumor came from TechCrunch, and the debunking of said rumor also came from TechCrunch, this time from OG Apple fanboy MG Siegler. It's easy to see how the rumor got legs: Apple Maps has been disappointing, and Waze traffic data is already integrated into the platform, so it would make sense that Apple would want to toss around some of its piles of cash to pull Waze into the fold officially. The original rumor came out yesterday, and earlier today, MG Siegler debunked it, saying, "There is no deal is happening. At least not now or anytime soon." Siegler admits that the two companies may have discussed the possibility, but that's all it really was, just a discussion that never led to anything more. According to Siegler, it would make more sense for Apple to acquire Foursquare, and we have to agree with him on that. Apple already has Waze's traffic data, so there's no real reason to purchase. But, Apple Maps needs serious help with its points-of-interest database and Foursquare could certainly help quite a bit on that front, which is why the companies have already been reported to talk about sharing data. originally i was so excited about the rumor of Apple and Waze to join forces, but now I see this wouldn't really work. They would have to completely redo Waze. Apple maps will take alot of time and until then, Google wil continue to dominate. 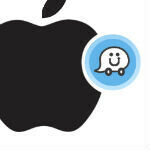 opensourceftw quotes: ""Get the iphone 5S, now with WAZE! Designed and developed EXCLUSIVELY for the iphone 5S!" Calling it now"" ------- You called it alright! Way to be 0% accurate. Dimmit! This means Apple still have to depend on the leach.